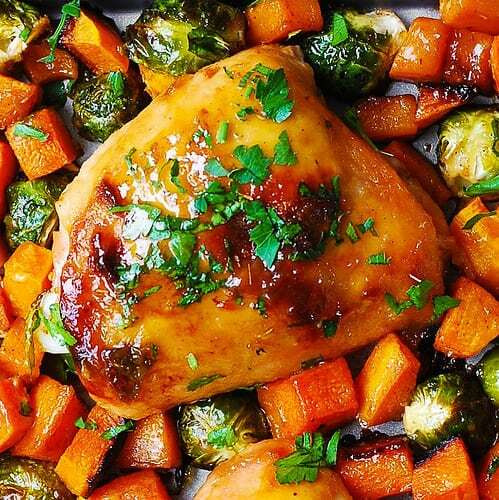 Sheet Pan Maple-Dijon Chicken with Roasted Butternut Squash and Brussels Sprouts – deliciously baked chicken thighs with vegetables will make a perfect Autumn/Winter dinner! 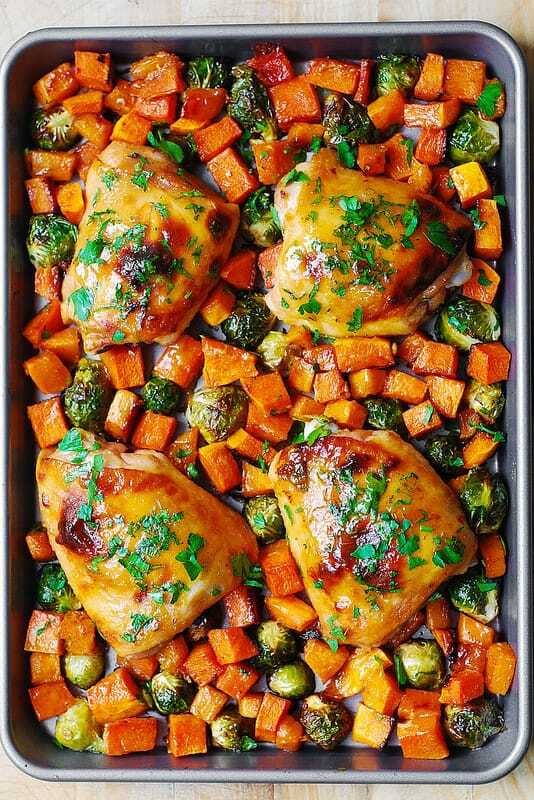 Sheet pan dinners are so easy to make – just throw everything on the baking sheet and bake in the oven! 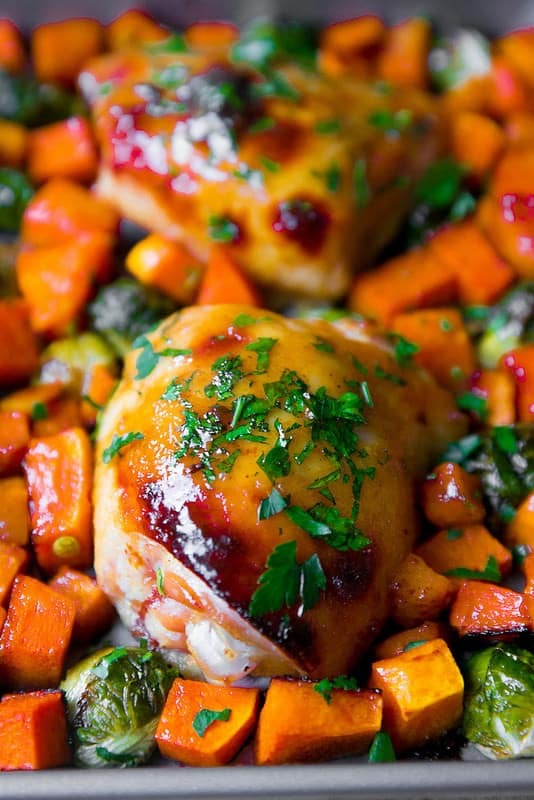 These Maple-Dijon chicken thighs with butternut squash and brussels sprouts are no exception. 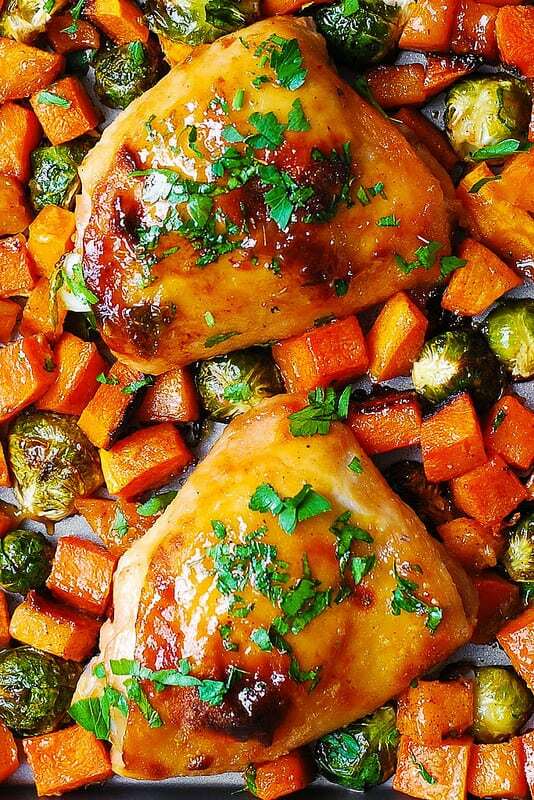 Sheet Pan Maple-Dijon Chicken with Roasted Butternut Squash and Brussels Sprouts - deliciously baked chicken thighs with vegetables will make a perfect Autumn/Winter dinner! Preheat oven to 450 F. Prepare a large rimmed baking sheet (line it with aluminum foil, if you like). Season chicken thighs with salt and pepper on both sides. In a medium bowl, whisk maple syrup and Dijon mustard. Dip each chicken thigh on both sides into maple-dijon mixture and place on a prepared baking sheet, skin side up, leaving space between all chicken thighs. 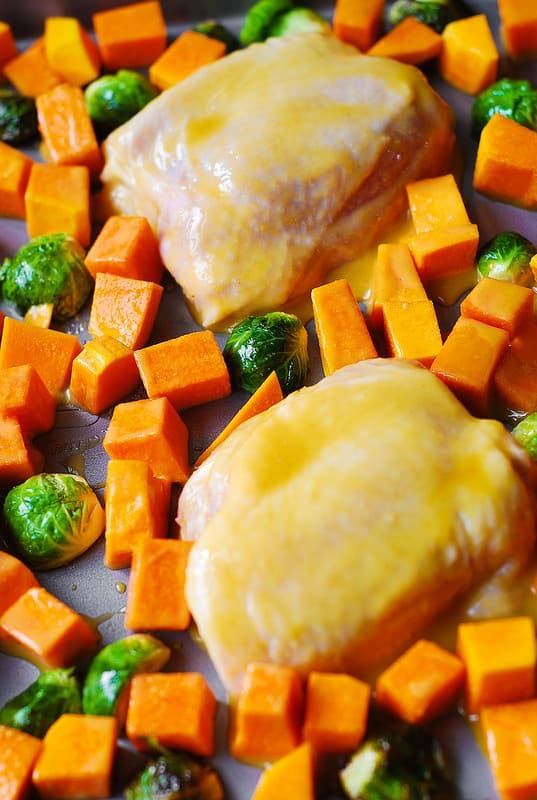 Add cubed butternut squash into the same bowl with the remaining maple-dijon mixture, mix to coat, and add butternut squash on the baking sheet around the chicken, in one layer. If you run out of maple-Dijon mixture, whisk a little bit more. In a separate, medium bowl, combine Brussels sprouts, olive oil, and 1/4 teaspoon salt, mix to combine. Then add Brussels sprouts on the baking sheet around the chicken, in one layer. Roast for 30 or 40 minutes at 450 F, uncovered, until the chicken is cooked through. Want a side dish for this chicken? Julia, made this last night and it was absolutely DELICIOUS. Instant add to my ‘easy weekday night dinners’ list! I may have used too many vegetables, as the pan seemed a bit crowded, so I split the brussel sprouts onto their own pan; I was a bit worried they’d burn, being in for that long and without the chicken fat/juices to keep them moist, but it worked great, and also allowed me to shake the pan once halfway through to get them nice and evenly browned. Chicken came out with a delicious crispy skin. Thank you for such a wonderful comment! So glad you enjoyed this recipe! I made this recipe just as you provided it and it was fabulous! It’s definitely going to be a staple in this house.Thanks you!! 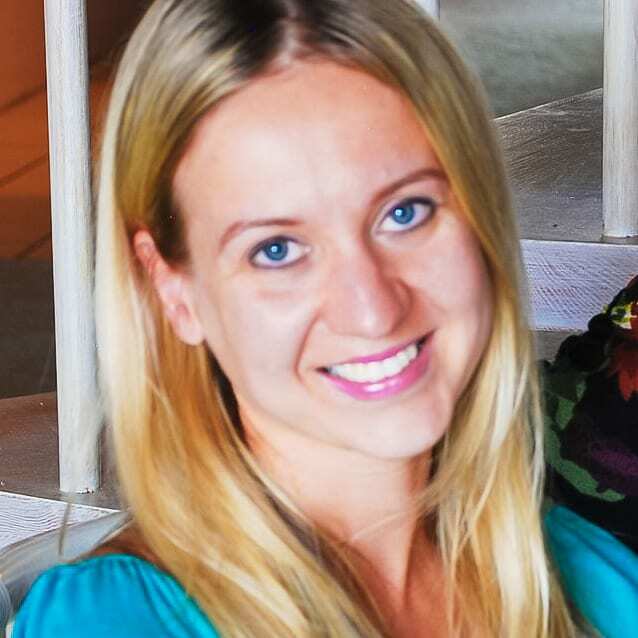 So happy to read reviews like yours! I am glad you liked this recipe!